Brief Audio Recordings of True Stories From My Life, From the Truly Sublime to the Ridiculous; Including: Family Ties, Celebrities, Spirituality, Higher Consciousness, Travel and Cultural Comparisons, Transcendental Meditation, Humor, Kids, Animals, World Peace. Here's What Listener's Are Saying About These Stories: "All Wonderful Stories!" "Truly Captivating!" "Excellent!" "I've Listened To the First Four Stories and Will Probably Listen To Them All." "Addictive!" More Stories Vol.4 Click here. Want to send me your comments on "That's A Great Story"? Email me at agreatstory, that's at yahoo.com. On the subject line write "Stories". Secret of the Taj Mahal (Click to listen). The Taj Mahal under full moon light. Does its fabled reputation hold up? Ragas For Ragamuffins--Harmony For the Homeless. (see video above). Poor children of Bengaluru(Bangalore), India, listen with rapt attention to classical Indian music. To listen to stories related to this project, scroll down this page to the third black bar (More stories Vol.4) and listen to "Music for Untouchables", "Rag Picker's Daughter", "Good Intentions", and "Flower Children's Love-In". During my four years living in Bangalore (I am from the USA) I discovered the tremendous love the local poor children had for music-- including classical Indian music, once they had the opportunity to listen to it on headphones. I would be surrounded by the kids all clamoring to listen to my headphones whenever I entered the street. So, I eventually hired a lady to make the music more available to the kids. As a result, many hundreds of poverty-level children got to listen to great music from their cultural heritage. I no longer live in India, but would encourage anyone desirous of spreading the joy of great music to children who would otherwise not have an opportunity to hear it, to do what they can to make the music available through headphones. It can be done for very, very little money. No one is doing more to help chlidren realize their untapped potential than film director David Lynch. See the videos at: www.davidlynchfoundation.org. Post any memories of Milty you'd like to share here. 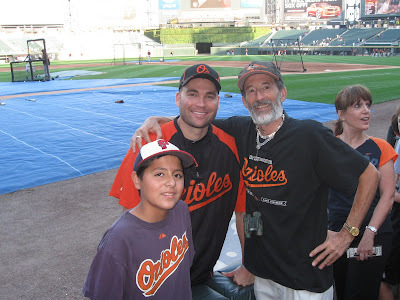 Luke Scott with me and a young fan of his before an Orioles-White Sox game in Chicago, August 24, 2010. Luke hit a home run in that game. My parents' life together; shown at their 50th wedding anniversary. Part 1 is 14 minutes (You may want to start with part 2; it is only 3 1/2 minutes and has excellent audio). Listen to "Yoko Ono and I"
I asked Barack Obama if he was able to stay rested "in the midst of all this". He was seeking the democratic party's nomination for president; on the town square of Fairfield, Iowa, July 3, 2007. I had been working at the TM Center in Washington for about five months after I graduated college. I just wanted to be around the knowledge of TM--Transcendental Meditation-- as much as possible. I’d had wonderful experiences having learned TM a year before and in my heart was devoted to my teacher, Maharishi. I just wanted to be immersed in his knowledge as much as possible and, as it turned out, the way my opportunity afforded itself was for me to be the maintenance man at the TM center. After graduating college I had gone to my first TM in-residence course. There I decided I would do anything to be around these wonderful TM teachers, even clean their toilets if I had to. Sure enough, this was part of what I ended up doing for the next 9 months! But around the fifth month of my work at the TM center, I was given the opportunity to see Maharishi at the Science of Creative Intelligence symposium at Massachusetts Institute of Technology. I had never seen Maharishi in person before and I had received tickets to go up to Boston from Washington. My girlfriend and I traveled up there and we attended the various proceedings, and one day she said to me, "I want to give Maharishi a flower”. Fine. If she wanted to do that, OK. But the thought of me giving Maharishi a flower, giving any other man a flower for that matter, to my mind at that time in my life, did not appeal at all, to say the least! We went to a flower shop and she picked out the most expensive flower in the shop, and then she turned to me and she said, “Aren’t you going to get Maharishi a flower?” So she sort of shamed me into it and I said “Well, alright.” And I picked out the cheapest flower in the shop, a little daisy. We went back to the lecture hall and when the lecture finished we waited outside to wait for Maharishi to come out. So a number of us gathered there and Maharishi slowly made his way through our line, receiving flowers from the people. And my girlfriend handed him her flower. By this time my daisy was quite wilted and very droopy, and when Maharishi turned in my direction, I held it out to him. He took the flower and he said to me “Jai Guru Dev” (glory to Guru Dev, Maharishi's teacher). And I looked into his eyes; I said “Jai Guru Dev”. As I looked into his eyes, what I saw was, all the love in the universe was concentrated in this one man. All the love between man and God, man and woman, between father and son, mother and son, brother and brother, you name it. All the love in the universe seemed to be emanating from this man, but actually, I then realized that no, it wasn’t really emanating from Maharishi, but that it was actually coming out of my own heart. I experienced that, somehow, Maharishi was drawing that love out of my heart and then reflecting it back to me. That gave me a great insight into self-realization; it’s all within us. February 1953 was the beginning of Romper Room's forty year run on television. "Miss Nancy" was the much adored teacher. Her stage name was "Nancy Rogers" but she was actually Nancy Claster, married to the show's producer, Bert Claster. In December of '53, at the age of four, I was one of the children on the show, for the standard two week stint. But Miss Nancy asked my mom to have me extend for an additional two weeks, and we did. Nancy Rogers (Claster), America's predecessor to Fred Rogers of "Mr. Rogers' Neighborhood", was a GODDESS to me and probably millions of other children! She radiated goodness, beauty and light. And when, as you see at the end of the film, she asks me if I would like to give her a hug, well, I took maximum advantage of the opportunity! For my Romper Room show-and-tell I brought in a scale model of a house that was built by the construction firm my dad worked for. As a result, the TV station, Baltimore's WBAL, was swamped with inquiries about the house. It sold within a week (but no commission for me, darn it). 47 years after this film was shot, I made a video of my own sort of "Romper Room" on the streets of India. To view it, see above: it is called "Harmony For The Homeless". Published 25 June 2009 in The Fairfield Weekly Reader. Like flight itself, Deborah Henning's recently released CD, I Like To Fly, is exhilarating! It has twelve songs inspired by His Holiness Maharishi Mahesh Yogi's teachings and by experiences resulting from the practice of the Transcendental Meditation and TM-Sidhi programs (including, as the title suggests, Yogic Flying). The songs are simultaneously playful and profound. Light seems to be shining through every aspect. With the exception of one song, all words, music, instrumentals, vocals (Deborah does multiple voices on all the songs) and arrangements are Deborah's creation. And she designed the front and back CD cover artwork. Deborah, largely self-taught, accompanies herself on electric piano, using it to make the sounds of various other instruments. She made a point of not listening to other music during the years she was composing and the result is a sound that is remarkably fresh and unique. For me, it is that beautiful voice that gives the CD an ineffable quality. The words, music and arrangements are terrific. But Deborah is not out to wow us with great power or range of voice. What is so very special is the quality of advanced consciousness of the singer. Her voice has ''it.'' ''It'' is so rare, and I am relishing this opportunity to enjoy it. * The silent, unbounded field of pure intelligence at the basis of all the mind's activity. This field, which is also the Unified Field of total Natural Law, the fundamental level of intelligence at the basis of the entire universe, may be experienced directly and its infinite potential fully unfolded in daily life through the regular practice of Maharishi's Transcendental Meditation Programme and its Advanced Techniques. Eureka! I’ve found it! This is one health book I would describe as truly great. There are a lot of health books these days that I find interesting, but this is one of those very rare ones that seems to have been written by Nature itself. From the appropriate title, Awakening Nature’s Healing Intelligence, to the last page, it reads like a contemporary scripture. Like the petals of a flower which blossom in perfect sequence, so does the profound knowledge contained in this book unfold. Dr. Hari Sharma is eminently qualified to write on this subject. He is chairman emeritus at Ohio State University’s College of Medicine and Public Health. A native of Aligarh, Uttar Pradesh, India, he was trained in a Western-style school of medicine in Lucknow. Later he studied under the tutelage of the great sage Maharishi Mahesh Yogi, who, together with India’s foremost Ayurvedic physicians, has refined and expanded Ayurveda into a potent medical system — the Maharishi Vedic Approach to Health. Sharma’s book describes this system, its underlying theory, as well as the impressive body of scientific research on its various modalities. What is the Maharishi Vedic Approach to Health? Dr. Sharma explains: "The focus of this comprehensive system of natural health care is on the underlying wholeness of existence and the structuring dynamics of intelligence that give rise to the human physiology. Disease is viewed as the result of the breakdown in the delicate balance of the coordinating intelligence that rules the functioning of the body. This breakdown occurs on a level deeper than organs, tissues, or cells — it results from the disconnection of intelligence from its source in wholeness. This concept of wholeness derives from the Vedic tradition and parallels modern physics’ discovery of the unified source of reality beyond the subatomic level. The insubstantial nature of material creation — as identified by both Vedic science and modern physics — cannot be ignored if we are to have a complete model of the human body and the nature of health and disease. As the only system of health care that provides a model for integrating this understanding of the deepest nature of reality with our current understanding of health and disease, the Maharishi Vedic Approach to Health has much to offer." According to Sharma, the essence of the Maharishi Vedic Approach to Health is that healers should address healthcare holistically, as well as all the specific values that constitute health, i.e. physiology; intelligence at the basis of physiology; influence of the environment; influence of buildings in which one lives or works; influence of the distant environment: sun, moon, planets, stars; and the influence of collective health on society. While many of the modalities employed by the Maharishi Vedic Approach to Health are similar to traditional Ayurvedic techniques, they have a strong emphasis on the element of consciousness, which renders them far more effective. For example, subtle Vedic sounds, which have been found to correspond to areas of the human body, have been very effectively used to heal chronic illnesses. This is Maharishi Vedic Vibration Therapy and functions at the subtle junction point where mind and body meet. Because he delves so deeply into the field of pure knowledge, Sharma highlights what is achingly missing from Western allopathy. The many shortcomings of modern healthcare stem from a lack of total knowledge of the mind and body interplay. And that total knowledge is lucidly, and I would say historically, presented in this book. All medical doctors and health practitioners should be required to read it! This book is not just for healthcare providers; anyone who is a seeker of wisdom will revel in it. If you really want to have the inside track on a profound approach to health, you will love this book. Without being a typical ‘how-to’ volume, it offers expert resources one can seek to pursue this path. And if you are even a bit as inspired as I am after reading it, you will want to do just that. For information on Maharishi's Transcendental Meditation program to eliminate stress and develop higher states of consciousness, visit: www.TM.org. (The following is my article which was used as the basis for the Brazilian tennis magazine 'Revista Tenis' article entitled "Tenis Transcendental", which is posted following this post). RT: Tennis players spend innumerable hours improving the physical side of their game. How important is the mental side? CB: The great Jimmy Connors said: "95% of tennis is mental." Another one of the greatest players of all time, Ivan Lendl, told me at the US Open Tennis Tournament in 2007: "What you are talking about is the future of tennis!" The following year at the Open, the great Martina Navratilova said to me: "It really works, doesn't it?! The young players coming up these days sure could use it, couldn't they?!" They were referring to a technique that actually has nothing to do with tennis. It is not a new way to swing a racquet, not a new exercise to strengthen the body, not even a new way of psyching ourselves to keep a positive attitude under pressure; nothing to do with belief. In fact, it has nothing at all to do with the field of activity whatsoever. It is transcendental -- beyond -- anything in the field of activity, beyond thought. It is the Transcendental Meditation (TM) Program, brought out of the Himalayas by the great sage, Maharishi Mahesh Yogi. And it has been used to enhance tennis performance by many other tennis greats. Those who have learned the TM program include Arthur Ashe, Jack Kramer, and Don Budge. Billie Jean King and Martina Navratilova both wrote forwards to a book that describes a training program that has at its core the Transcendental Meditation program. And a few tennis legends are totally private about their TM practice (why share their secret, silent weapon with their opponents?). That includes at least one current big name in tennis. Arthur Ashe was one of the first tennis greats to learn the Transcendental Meditation program. RT: OK, Craig. That's great for top tennis players, but what about those of us not in that elite group? What about casual tennis players? Is it so difficult to learn that we might not be able to learn it? CB: Not at all. It is very simple, natural and easy to learn. I have taught the Transcendental Meditation program in the interior of Sao Paulo to "gente da roca" who could not read or write. They would sign their name with an "X". They learned the technique along with medical doctors, dentists, lawyers, etc. And they learned it easily. RT: Well, then, seeing that it doesn't in any way interfere with one's current game, and it is easy to learn, how do we do it? Can you teach it to us right now, here on the internet? CB: I'd love to do that! But, we are dealing with the most complex computer in the universe: the human brain. And the technique of TM optimizes full brain potential. So it is a very subtle technique that must be taught on an individual basis. You know, to get a good tennis stroke you had best have a teacher to guide you, and not just rely on a book. When we are dealing with the brain, it is all the more important to have a teacher there to help keep us on the right track. And there are highly qualified teachers throughout Brazil. The technique must be learned by a certified TM teacher through a standardized one week course. Yes, there are mental techniques you can read about, but they are fundamentally different than TM, and do not have the vast amount of research proving superior benefits, as is the case with the TM program.What I'd like to do in the rest of th is interview is show why it is worth the effort to go to a qualified TM teacher to be properly instructed. RT: Right. Craig, what is the Transcendental Meditation technique? CB: The Transcendental Meditation (TM) technique is an effortless, natural mental procedure which allows an individual to experience unbounded awareness when the mind transcends--goes beyond--thought while remaining wide awake. As the mind settles down to this least excited state, the body receives deep rest. This dissolves the tension and fatigue that drag at the reactions, concentration, courage, and continued successful performance of an athlete. The Transcendental Meditation practice-- 20 minutes twice a day-- revitalizes the body and mind, producing greater energy, mental strength and dynamic action. The Transcendental Meditation technique is an effortless, natural mental technique. Because the TM technique is so very effective in replenishing both physical and mental energies on a daily basis, there is no reason why tennis players should fade as quickly as they normally do, whether in a match, tournament, or gruelling season. TM practiced twice daily would allow a player to maintain the intensity needed to come out on top at the finish. So, even if the Transcendental Meditation program did not improve the player's abilities, it would still enable them to maintain their current level of success throughout the season, insuring a great season. But all my experience, and that of the five million people practicing the TM technique worldwide, and the more than 600 scientific studies on TM--conducted at over 200 universities and research institutes in more than 30 countries--shows that TM would indeed improve their performance in many ways. RT: Does the TM program teach us how to concentrate better on the court? CB: No. That is the great misunderstanding about meditation. Unfortunately, there are many people who think that meditation techniques must teach how to concentrate. Wrong! The Transcendental Meditation technique, as taught by Maharishi, is a rediscovery of the natural, effortless nature of proper meditation. No concentration is used in TM. Through personal instruction the mind is shown how to flow effortlessly to its own unbounded source. But a result of reaching this area of vast energy and intelligence deep within the mind is greater ability to spontaneously concentrate outside of meditation on whatever it is we need to focus on. The reason TM has been repeatedly shown by scientific investigation to be so much more effective than other forms of meditation lies in this fact that TM does not use concentration; nor does it involve contemplating any thought. RT: Many tennis players already have “mental skills” coaches. Presumably some—perhaps all—of these individuals are using techniques other than TM. How does the Transcendental Meditation program compare with the other programs out there? CB: First of all, there's no conflict between the TM program and other programs a player may use. One way in which TM may differ from some other programs is that TM does not involve trying to do anything special during a game. Players meditate and then no longer have to think about it after the meditation session. It's like a shower; we don't have to remind ourselves that we feel good after it. Also, the Transcendental Meditation program is the world's most scientifically researched program for self-development, by far. And I would advise anyone who wants to make an educated judgment about the TM program to at least take a look at some of the more than 600 published studies on TM. A good summary of the research can be found at www.meditacaotranscendental.com.br. The website will also tell how to contact any of the many TM teachers throughout Brazil. RT: Where does TM come from? CB: Maharishi's Transcendental Meditation program comes from an ancient tradition of knowledge, the Vedic tradition. It is not in its experimental stage, like many relatively new programs. Maharishi brought this age-old wisdom from the Himalayas to the rest of the world in 1954, about the same time Pancho Gonzales was starting his run of seven consecutive years as the world's No. 1 tennis player. Throughout these past fifty-six years the Transcendental Meditation program has made meditation a household word. RT: What are some benefits of TM that are noticed off the tennis court? CB: Off the court problems can often have big effects on it. Many tennis players say that TM is a big help in harmonizing their family life, among other benefits. RT: You've discussed mental, psychological and social benefits some players attribute to TM. What about actual physical improvements? CB: Let me mention a statement from a top athlete in another sport: baseball. One of the great players of all time, Willie Stargell, pointed out that, before he learned the Transcendental Meditation program, he often would wake up in the morning with nothing to look forward to but a tired body to drag him through the day. After TM that all changed; TM gave him a big boost in his energy level, he said. He could revitalize his mind and body daily through the simple mental technique. When more energy is available to our body, health becomes stronger. The U.S. government has already spent more than $25 million for scientific research on the health benefits of the Transcendental Meditation technique. Studies done at Stanford and other universities show that TM produces a much greater reduction in trait anxiety (an indicator of stress) than all other techniques studied. This superior effect of the TM program is related to TM's naturalness. And this naturalness means that anyone can learn it easily, irrespective of their educational level or whether they believe it will work or not; people of all faiths practice TM. 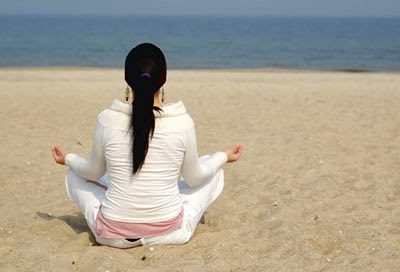 The Transcendental Meditation program enlivens the body's innate mechanism for eliminating stress. And stress is at the basis of so many diseases. RT: You've mentioned some of the tennis pros who have learned the Transcendental Meditation program. What about amateur athletes? CB: I've taught TM to many high school athletes with great results, both on the field and in the classroom as well. Teachers find that students are more attentive in class with TM. Research shows that their grade point average rises. The point is that TM increases intelligence. The sports teams at my alma mater, Maharishi University of Management, and the Maharishi School of the Age of Enlightenment in Fairfield, Iowa all use TM. Since 1986 this small high school has won an incredible 16 Iowa state tennis championships. For the first time in the 70-year history of Iowa high school tennis, Maharishi School won the celebrated Triple Crown by winning first-place in State Class 1-A titles in singles, doubles and team competitions two years in a row, 1999 and 2000. The Iowa Tennis Association (ITA) chose their coach, Lawrence Eyre, Coach of the Year for 2000. And in 2009, Eyre was chosen US national coach of the year by the USPTA. That's the United States Professional Tennis Association -- the oldest and largest tennis association of tennis-teaching pros in the United States. (It has been in existence for 82 years, and has included members such as tennis legend Jack Kramer). According to coach Eyre: "Seventy-five percent of a tennis match is between points and whoever recovers better and can return to a steady state is going to do better." TM helps his players recover quicker from unforced errors and then move on to the next point without getting upset or distracted. It keeps a player from being overly "pumped". Eyre goes on to say: "With the TM program my players learn to live in the zone in order to play in the zone. They get 'peak experiences' which are the basis of peak performance." Other schools have been incorporating TM into their training also. The game of squash, a cousin to tennis, so to speak, is in contention for becoming an Olympic sport. The Trinity College (Hartford, Connecticut) women’s squash team is ranked #3 in the United States and is home to some to the top players from around the world. Trinity head coach Wendy Bartlett wanted the team to feel that the court was a place where they could be relaxed and stay in control. Trinity assistant coach Dr. Randy Lee wanted to do something to help his players cope with the mounting stress and pressures that come with success—while giving them something to improve overall performance. 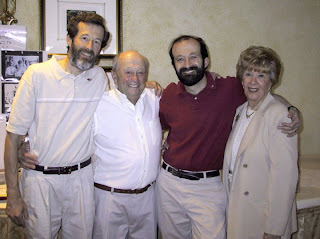 So, in October 2009, Coach Bartlett and Coach Lee decided to introduce the Transcendental Meditation technique as part of the team’s training program. Seven months later, Coach Bartlett says the team has changed, describing the players as calmer and more focused than in the past. “We’ve had just as many challenges this year as we’ve had any other year, but this year we’ve been able to handle them a lot better,” she says. Nour Bahgat from Egypt was the #1 Women’s U.S. collegiate player in 2009. She says that the Transcendental Meditation technique helps her get into ‘the zone’. “Being in the zone is very important for an athlete because that’s the point where you can perform at your best level,” she says. Emily Lindon, a graduate student at Trinity College, conducted a research study for her senior thesis on the impact of the TM program on the squash team. In particular, she investigated the area of “perceived self-efficacy,” which is a person’s belief in his or her ability to accomplish a certain task. “Research has shown that if people think higher of their abilities, they tend to perform at a higher level,” Ms. Lindon says. The study showed a significant increase in self-efficacy among the meditating athletes after meditating for just five months. RT: I'm sure many people hear the term "meditation" and immediately disregard anything associated with it as New Age hocus-pocus or something similar. I'm sure you've heard that sort of thing before. How do you respond to such statements? CB: "Skepticism is the chastity of the intellect, and it is shameful to surrender it too soon, or to the first comer," wrote philosopher George Santayana. Yes, we should be cautious of what may be nothing but "hocus-pocus" out there. But we should use our intellects to separate the useful from the trash. Otherwise we may be narrow-minded and miss our chance to progress. Didn’t they think Marconi’s ideas were hocus-pocus? He had to actually take the skeptics out to sea on a ship to prove that his mysterious "radio waves" could really communicate back to shore without the use of wires. Any significant, serious-minded person must look at the facts. They must acquaint themselves with the 600 scientific studies (published in more than 100 scientific and scholarly journals, including such peer-reviewed journals as Science, American Journal of Physiology, Scientific American, International Journal of Neuroscience, Journal of Social Behavior and Personality, and many others) showing that Maharishi’s Transcendental Meditation program has profound effects on the body, mind and behavior. And they must look at the track record of the five million people who’ve learned the technique, the many hundreds of companies who’ve implemented it, and so on. My hope is that more top tennis players will realize that many others have already seen the importance of the mental component in tennis and are doing something about it. If they look into TM properly, I’m fairly certain it will be clear that it i s the most tested and most effective program available. And if they find something proven to be better, then they should go for that. But I very seriously doubt there is anything better out there. RT: What is TM's relationship with yoga? CB: Yoga involves physical postures and TM is a mental technique. I practice yoga every day, and enjoy it very much; but its effects are superficial compared to TM. RT: Can you be more specific about the benefits you feel tennis players could obtain from adopting the Transcendental Meditation program? 1. Players will be "In the Zone" more often and for longer periods. "In the zone" is sort of a catch-all phrase that encompasses many different experiences, but they are best characterized, I think, by the notion 'peak experiences'. TM gives the direct experience of the zone—transcendental consciousness, which is an unbounded state of restful alertness of the mind. Through transcending thought during meditation the mind begins to enjoy more and more of that inner creative silence even when engaged in very dynamic activity. Roger Federer said: "I get in the zone by forgetting I am in a point." He spontaneously transcends thought. 2. Meditating, they will be more rested—TM gives deep rest which neutralizes the stress-- physical, mental and psychological--of daily competition. It has been amazing for me to see that nearly every one of my more than 1,000 TM students, when I ask them on the fourth (final) day of the TM course, "How many feel more rested now? ", virtually every hand goes up! As I mentioned, this would result in more stamina over the course of a season; quicker rebound from exhausting five-setters. More relaxed, energetic clear-minded players win tennis matches. 3. Better teamwork and team harmony-- Doubles teams sometimes have difficulty in keeping communication channels clear between them. “We are family” spontaneously becomes a reality when team members, sometimes from diverse backgrounds, transcend thought. They experience their common source. 4. With TM we can expect better lifestyle choices—The many temptations pro (and sometimes amateur) tennis players face are dealt with more maturely as they enjoy the refinement of their personality through the Transcendental Meditation program. Self-confidence, self-reliance, stability and inner control, naturally develop. 5. Decreased drug and alcohol usage-- Naturally, the use of prescribed and non-prescribed drugs falls off when players are feeling great through TM. Performance enhancing drugs likewise lose their attractiveness since players are naturally performing better and are more sensitive to the detrimental effects of unnatural drugs, once they start TM. Scientific publications such as Alcoholism Treatment Quarterly point to the Transcendental Meditation program as perhaps the best modality for preventing and treating alcohol and drug abuse. TM makes a person feel good naturally, obviating the desire for drugs or alcohol. 6. Many studies show TM meditators have faster reactions. On average, they are about 20 to 30 milliseconds faster than non-meditators. This means players who meditate can react more quickly to, say, a 190 km serve. 7. As I mentioned before, TM would offer players a clearer mind-- the troubles from home aren’t carried onto the field and players can concentrate better on the task at hand. Intelligence, memory and learning ability improve with TM. Current training programs in place will be even more effective. Mental errors can be expected to occur less often. 8. The Transcendental Meditation program results in greater creativity—The difficult naturally becomes easier. In other words, you could expect to see more unbelievable shots like Federer routinely hits. 9. Faster running—Studies show an improvement of more than one-tenth of a second over 50 meters for TM meditators over a six-week period. All this comes from less fatigue and less stressed nervous systems. 10. "Slower to boil, quicker to cool off". The Transcendental Meditation program gives greater stability to the nervous system, so the pressures on the field are less distracting. At the US Open I watched Thomaz Bellucci's match against the American Tim Smyczek. Bellucci has powerful strokes and won the match, but not without a good deal of effort. He seemed at times to get frustrated with himself. Too many of his first serves were netted. I could see how his mental state was influencing his ball toss --it was often too low, a result of nerves, and the serve would end up in the net. I spoke briefly with Bellucci after his win. His home in Tiete, SP is near Tatui', the town I lived in for one year (1966) as a high school exchange student. (I have since visited Tatui' several times, and keep in touch with friends there regularly). I gave Bellucci the website where he can learn more about staying relaxed, rested and focussed with the TM technique. 11. "Staying within themselves." This is a common expression used to describe a state of naturalness where there is no strain. TM gives the direct experience of one’s own inner silent self, thereby fostering this ability that is so coveted in tennis. Roger Federer rarely seems to operate outside of himself. 12. Tennis players have a fairly high incidence of injuries. Expect fewer injuries among meditators. Fatigue is a main factor in injuries. The Transcendental Meditation program gives players the most effective technique for removing fatigue on a daily basis. If an injury does occur, the profound rest TM gives to the body provides it the ideal conditions for rapid and full recovery. 13. Greater happiness—Success comes from happiness. TM enhances happiness, morale. 14. Better family life is a natural result of the TM program. The former owner of the American baseball team, the Philadelphia Phillies, told me that the Phillies offered the Transcendental Meditation program to the wives of the players as well as all the players. This went a long way to further the family harmony without which a Pandora's box of problems may plague a player's performance. 15. Better health—Transcendental meditators have, on average, 50% fewer hospital and doctor visits. That's simply because they are generally healthier. An ounce of prevention is worth a pound of cure. We've seen how illness can debilitate players, both physically and emotionally. Will you take up this proven program for stacking the odds in your favor? The American Journal of Cardiologypublished a study showing that practice of the TM program extended people’s life span by 23%, and reduced heart disease by even more. 16. More effective coaching: coaches find that when they and/or their player are practicing the TM technique, the coach is able to impart his/her knowledge more easily. Coaches tell me that often the information can be communicated virtually effortlessly. 17. Reversal of Aging--Tennis pros are becoming "over the hill" by earlier and earlier ages. If you knew that there was a way to turn back the biological clock on an "ageing" player you were coaching, you'd do it, right? Read the research; there is! Read the research at the TM website. 18. Better luck...that's what Transcendental Meditators often report. TM harmonizes an individual with his environment. In tune, things tend to go his way. It's like a surfer who catches the wave just right: his progress is unrestricted. RT: It sounds like we need to learn to transcend. Is there anything else you would like to say? CB: The Transcendental Meditation program will improve any tennis warrior's game and I hope to see you all playing in the zone. RT: Thank you very much, Craig. Craig M. Berg MBA, DMVA was trained personally by Maharishi Mahesh Yogi in 1973 as a teacher of the Transcendental Meditation program. He has taught the program (in portuguese) for 1,5 years in various cities in Sao Paulo state, as well as Porto Alegre and Rio de Janeiro. Dr. Berg is currently engaged in research in human consciousness at Maharishi University of Management in Fairfield, Iowa. NOSSO CORPO É UMA CAIXINHA de surpresas. Cada célula, cada partícula, tem uma função que a diferencia do resto, uma singularidade que faz toda a diferença e, muitas vezes, não damos bola para isso. Em Hamlet, William Shakespeare usou a expressão "há mais mistérios entre o céu e a terra do que sonha nossa vã filosofia" para mostrar que o mundo é muito mais abstrato do que pensamos que seja. E o que dizer, então, de nosso órgão mais complexo, o cérebro? Por muito tempo, acreditou-se que a mente era totalmente autônoma e que, por isso, seríamos escravos de seu "temperamento". Mas lá no alto do Himalaia, uma técnica de meditação se desenvolveu e ganhou destaque no mundo inteiro - tanto na parte oriental, já acostumada a essas práticas, quanto na ocidental, mais distante dessa cultura - exatamente por partir do princípio de que a funcionalidade mental pode ser, de certa forma, subjugada e expandida. Nascia a Meditação Transcendental (MT). A técnica da Meditação Transcendental é baseada na antiga tradição Védica de iluminação na Índia. Esse conhecimento tem sido repassado por mestres védicos de geração para geração por milhares de anos. Há 50 anos, o guru indiano Maharishi Mahesh Yogi - o representante em nossa era da tradição Védica - apresentou a MT ao mundo e é ele quem leva a fama de "pai da MT" por tê-la popularizado. Ele criou estabelecimentos de ensino superior nos Estados Unidos, na Suíça, na Holanda e na Índia. O QUE É MT E PARA QUÊ ELA SERVE? Com base na tradição Védica, a Meditação Transcendental é basicamente uma maneira de, com a ajuda de mantras, voltar toda a atenção do organismo para dentro, em direção aos níveis mais sutis do pensamento, a um oceano de consciência pura. Fazendo isso, a mente é capaz de transcender e chegar em um estágio mais "natural", que é a fonte do pensamento. A partir dessa experiência de repouso profundo, a mente se aquieta, a consciência aumenta e o corpo ganha mais força e se equilibra, tornando-se capaz de lutar contra pequenos problemas que, juntos, são capazes de gerar um déficit no organismo. Esse auto-desenvolvimento traz benefícios tanto para a parte mental do indivíduo quanto em questões cotidianas, como o cansaço, a falta de criatividade e a tomada de decisões. Além disso, mais de 600 estudos, realizados desde a década de 1970 concluíram que a técnica é capaz de afastar o estresse e a depressão e diminuir o risco do desenvolvimento de doenças cardiovasculares. Para entender melhor como funciona tudo isso, basta imaginarmos as ondas do mar. Quanto mais profunda for uma onda, mais forte e poderosa ela será. Com a mente acontece a mesma coisa. Quanto mais profundos forem os níveis do pensar, mais intenso e difícil de desfazê-lo será. O tênis não é um esporte fácil. Qualquer esporte individual, sem o apoio de um time, um tempo pré-determinado e a possibilidade de receber conselhos do treinador tem o poder de mexer imensamente com a parte mental e psicológica do jogador. Para ser bem sucedido dentro de quadra, ao invés dos 5 a 10% do potencial mental aproveitados pela maioria da população, o tenista precisa utilizar plenamente seu sistema nervoso. Jimmy Connors já dizia que o tênis é um esporte 95% mental. O que fazer, então, para dar liberdade total ao cérebro e desenvolvê-lo até alcançar o ponto de aproveitamento máximo? Segundo Craig M. Berg, instrutor de MT treinado por Maharishi Mahesh Yogi, a Meditação Transcendental pode ser um dos caminhos mais benéficos não só para o mental como também para o físico em quadra. "O grande diferencial da MT é ser uma prática que não envolve nenhum tipo de esforço. Ela não pede concentração e não contempla nenhum tipo de pensamento específico", explica Berg. Na verdade, ela apenas permite que o indivíduo volte toda a sua atenção para si mesmo, para um estado mental puro, em busca do "eu interior". Nesse estado de aparente descanso, o cérebro funciona com maior coerência e o corpo naturalmente - e inconscientemente - segue a mente. Os efeitos desse relaxamento são sentidos durante o dia todo, e incluem o descanso físico, a força mental etc..
Cada sistema nervoso é único e, por isso, aprender a MT geralmente requer uma instrução personalizada para ajudar o praticante a desenvolver o pleno potencial do cérebro. No início, o aluno recebe um mantra, ou seja, uma vibração sonora específica que mexe com a percepção interior e, após aprender a usá-lo de modo a mergulhar na direção da fonte dos pensamentos - o campo infinito de energia e inteligência, o campo de consciência pura -, já está capacitado a praticá-la sozinho. O exercício deve ser feito duas vezes ao dia durante 15 a 20 minutos. Através dessa técnica, o corpo experimenta um estado de relaxamento profundo, duas vezes mais intenso do que o sono profundo - chamado de repouso em alerta - que torna a mente mais calma e ágil. Pelas palavras do cineasta David Lynch, um dos mais brilhantes de Hollywood e praticante da Meditação Transcendental desde 1975, "a MT dá a chave que abre a porta para níveis mais profundos, de consciência sem limites, e esse ingresso aflora a intuição e dissipa toda a negatividade que assimilamos durante o dia". A Meditação Transcendental, nos tenistas, permite que o jogador otimize seu foco e permaneça descansado e relaxado dentro de quadra. Além disso, é uma técnica que promove acesso rápido ao que os norte-americanos chamam de "The Zone", ou seja, a experiências de pico, a estar no ápice de seu estado mental, completamente focado no jogo, numa espécie de alerta descansado. "Se praticada duas vezes ao dia, a MT auxilia o jogador a manter a intensidade necessária durante toda a partida. Então, mesmo que a prática não melhore as habilidades do tenista, será essencial na manutenção de sua forma e no sucesso da temporada", comenta Berg. O tênis é um esporte cansativo. Além dos jogos diários na maioria dos torneios, os jogadores precisam lidar com a parte psicológica de tudo isso. Craig conta que "75% do tempo de um jogo de tênis se passa com a bola parada, entre os pontos, então quem se recuperar melhor - tanto física quanto psicologicamente - tem mais chances de vencer". Quantas vezes já não vimos um jogador se aborrecer por conta de um erro não forçado, ou uma bola dentro dada como fora, e perder o game, ou até mesmo o set? "A MT auxilia os tenistas a se restabelecer rapidamente após erros não forçados e ir para o próximo ponto sem nervosismo ou distração". Como diria o Dr. Jim Loehr, o mais renomado psicólogo do tênis, "o controle das emoções reflete no controle do corpo". "Infelizmente, muitas pessoas pensam que a Meditação Transcendental ensina como se concentrar. Errado! A habilidade de se concentrar em qualquer ocasião sem ter que pensar e trabalhar esse lado é apenas uma consequência da MT. Ela não envolve nenhum tipo de ritual especial durante o jogo", conta Craig Berg. Após o tempo de meditação, os jogadores já estarão mais equilibrados e vão se sentir dispostos a mergulhar naquela atmosfera naturalmente. "É como tomar um banho: nós não precisamos lembrar de nos sentirmos bem depois disso", finaliza o instrutor. A lista de benefícios da Meditação Transcendental é grande. Alguns são bastante específicos, outros, gerais, isso sem contar aqueles que não se refletem diretamente no jogo, como a relação com a família, mas que, colocados numa balança, acabam ajudando no resultado final. Faremos aqui um apanhado com as 10 principais melhoras na atitude de um tenista citadas por Craig M. Berg. 1. Permanência na "The Zone" por períodos mais longos. Durante a meditação, a mente entra nesse estado tranquilo, mas de consciência alerta, e começa a desfrutar cada vez mais do chamado "silêncio interior criativo", mesmo em atividades dinâmicas, como uma partida de tênis. 2. Os jogadores ficam mais descansados. A Meditação Transcendental, através do descanso profundo, neutraliza o estresse físico, mental e psicológico das competições diárias e capacita o tenista a encarar com maior vigor e energia jogos de cinco sets e longas jornadas com pouco descanso. 3. Melhora a harmonia dentro de quadra. Algumas duplas têm dificuldade de comunicação, o que é um problema grave no tênis. Ao praticarem juntos a MT, a dupla fica numa mesma vibração e compartilha a sintonia. O mesmo resultado pode ser visto em parcerias treinador/jogador. 4. Queda no consumo de medicamentos e álcool. Quando a pessoa está se sentindo bem, o consumo de medicamentos e álcool cai espontaneamente. A MT provoca uma excitação natural e deixa o corpo mais forte para combater doenças. 5. Diversos estudos concluíram que o praticante da Meditação Transcendental tem reações mais rápidas. Segundo os cálculos, em comparação com um não praticante, a diferença chega a 30 milissegundos. 6. A MT deixa a mente mais clara. Inteligência, memória e habilidade de aprendizado são otimizadas pela meditação e acarretam numa maior eficiência dentro de quadra. Além dos erros não forçados acontecerem em menores proporções, a criatividade e a probabilidade de grandes jogadas serem feitas aumentam. 7. Rapidez. Estudos mostraram uma melhora expressiva na rapidez daqueles que praticavam a Meditação Transcendental por pelo menos seis semanas. Eliminando o estresse e a fadiga, o jogador melhora em um décimo de segundo seu desempenho a cada 50 metros corridos. 8. Saúde forte. Os praticantes têm, em média, 50% menos consultas médicas e internações do que os demais. Pesquisas mostraram que a MT melhora o funcionamento dos sistemas cardiovascular e imunológico, aumenta o fluxo de sangue no cérebro e liberta de vícios. Em outras palavras, deixa o indivíduo mais saudável. Além disso, por deixar o corpo descansado, previne lesões ou as ameniza. 9. Por estimular o bem estar físico e mental e melhorar a saúde como um todo, a Meditação Transcendental é capaz de retardar o envelhecimento. Os tenistas se sentem mais bem dispostos, continuam rápidos, fortes e aptos a estender a carreira por alguns anos. 10. Felicidade. A MT equilibra o organismo e estabiliza o sistema nervoso, deixando o corpo com a mesma sensação de quando experimentamos um momento de felicidade. E a partir disso o sucesso é mais provável. For more information on a most powerful, proven program for creating world peace visit: www.permanentpeace.org. I met Bob Feller when I was a boy (possibly in 1956 when I was seven) in Baltimore at Luskin's appliance store on Park Heights Ave. It was a Saturday morning appearance-- Bob was doing promotional work for Motorola-- and there was a mob of kids (and some parents) waiting for the store's doors to open at 9AM. My dad, who was not a baseball fan, drove me down to the store. When he saw the mob of people waiting for the doors to open, he took me by the hand and led me around the back of the store. The sign on the back door entrance said "No admittance", or some such thing. I said: "Dad! The sign says we can't go in!". "Just come with me. ", was his reply. We went in and walked up to the checkout counter where "Bullet Bob" was opening boxes of baseballs. We were his very first customers of the day. And Bob Feller signed his first baseball of the morning and gave it to me. (I eventually played ball with it, and eventually lost it.) I remember him having a distinct brightness about him. I remember seeing that dimple in his chin, and I remember him being kind to me. I was thrilled, as you can imagine. Fast forward 40 years: Avon Lake, Ohio. I read in the newspapers that Bob Feller will be signing autographs at a drugstore just a few blocks from where I was then living. When I arrive at the store there is a huge line waiting to meet Bob. No, I didn't sneak in the back door (I didn't inherit my dad's chutzpah), but I did avoid the line and walked to the back of the store where Bob sat at a table signing autographs and chatting with the fans. I stood off to the side and simply observed the man. He was so kind to those kids. I remember him explaining, in very simple terms to some youngster, about his role in fighting for his country in WWII. The glow I witnessed as a kid how now matured into something even more, much more, impressive, something golden. "This is one of the great Americans. ", was the thought that ran through my mind. "This is a true living legend, and you would recognize that even if you didn't know anything about his baseball career." The Yankees have just appointed a "Director of Optimal Performance" to handle motivational and mental-skills issues at the major and minor league levels for players and coaches. According to New York General Manager Brian Cashman, "Ultimately, like anything else, our players are our assets. We just want to make sure that we support them in all aspects of what they do, on and off the field." According to The New York Times 10 to 12 major league teams are believed to employ mental skills coaches. To the best of our knowledge, the Orioles are not one of those teams. Does it matter? Over the past few weeks I’ve exchanged a few e-mails with Belfry reader Craig Berg, Orioles fan and Transcendental Meditation (TM) practitioner/teacher/researcher/advocate. The conversation naturally turned to the subject of how (and why) Craig thinks that TM can benefit the Orioles. A synopsis of that discussion follows. KL: Tell us a bit about your background, both as it relates to your interest in the Orioles and TM. FTB: Call me FTB--For The Birds. I will tell you how they can gain the advantage over the Yanks and others in this mental-skills race. But I want you to know that I've been FTB since 1954, when I was five years old. Back then my heroes were Gus "Tremendous" Triandos, Bob "El Ropo" Boyd (he was known for his 'frozen ropes'--screaming line drives), and little Willie "Miracle" Miranda (I had a three finger "Willie Miranda Model" mitt to enable me to work my own "miracles" on the ball field near my home in northwest Baltimore). I left Baltimore when I was fourteen, but never left the Orioles. I moved to New York but always would show up in the Bronx to root for the Os, or, if they weren't in town, against the Yanks. There were about ten years when I was living abroad: India, Brazil, Portugal, Switzerland, Philippines, etc., and as a result there are several spotty patches in my knowledge of Orioles history, but the Birds have always remained my team. Most of the years abroad were spent teaching the Transcendental Meditation (TM) program, which I learned in my senior year of college. My four years of study of psychology showed me that most people use only about 10% of their mental potential. I learned TM in order to begin to unfold that other 90%. And it began to live up to its promise right from the beginning. So, in 1973 I went to Spain to study with the great Indian sage, Maharishi Mahesh Yogi, who personally trained me as a teacher of his Transcendental Meditation program during a five-month course. Since then, besides earning an MBA as well as a doctoral degree, I have trained over 1,000 individuals in the technique of TM, among them several serious athletes. For the past fours years I have left my role as TM teacher in order to focus on performing research with TM and its advanced programs. I have found that TM leads to levels of achievement far beyond our ordinary expectations. KL: Please describe Transcendental Meditation for those of us, including myself, who know relatively little about it. FTB: The Transcendental Meditation technique is an effortless, natural mental procedure which allows an individual to experience unbounded awareness when the mind transcends--goes beyond--thought while remaining wide awake. As the mind settles down to this least excited state, the body receives deep rest. This dissolves the tension and fatigue that drag at the reactions, concentration, courage, and continued successful performance of an athlete. The Transcendental Meditation practice-- 20 minutes twice a day-- revitalizes the body and mind, producing greater energy, mental strength and dynamic action. KL: And this will help the Orioles? FTB: Yes, this is where I'm convinced the Orioles can gain a significant edge over the intense competition they face, especially in our division this season. At this moment the Os are in first place (ta-dah!) with an 18-9 record. That's about one-sixth through the 162-game season, and projects out to nearly 110 wins. Not bad for a team that can barely remember the last time it had a winning season. Because the TM technique is so very effective in replenishing both physical and mental energies on a daily basis, there is no reason why the players should fade as the season wears on. TM practiced twice daily would allow the team to maintain the intensity needed to come out on top at the finish. Just think of how it could boost two of our pitchers who started off well and then faded big-time at the end of last season: Cabrera and Bedard. KL: Has TM been used by major league players? FTB: In 1973 the Phillies finished sixth in their division. They implemented the Transcendental Meditation program in the spring of 1974. That year they improved to third place. The next season they finished in second place. Each of the next three years they finished in first place. By 1975 more than ten percent of all major league ballplayers were practicing the Transcendental Meditation program. Here's what the great multi-Cy Young Award winner, Steve Carlton, who learned TM with the Phillies, had to say about the program: "When people ask me about the Transcendental Meditation program, I just tell them that it's helping me make myself a better person, and that I just feel real good about it. Once the stresses are gone from the nervous system, everything just naturally goes better." Carlton's teammate, Jim Lonborg, also a Cy Young Award winner, recommends TM for any ballplayer. He says TM greatly helped his pitching (listen up, Oriole hurlers) by clearing his mind of extraneous thoughts while on the mound. Having a clearer idea of what he wanted to do on the mound made him a more aggressive, more effective pitcher, he contends. Just the other day Lee Mazzilli commented that Daniel Cabrera's only real problem was "concentration." Here's the solution. KL: But you’re not saying that TM is actually teaching “better concentration”? FTB: No. That is the great misunderstanding about meditation. Unfortunately, there are many people who think that meditation techniques must teach how to concentrate. Wrong! The Transcendental Meditation technique, as taught by Maharishi, is a rediscovery of the natural, effortless nature of proper meditation. No concentration is used in TM. Through personal instruction the mind is shown how to flow effortlessly to its own unbounded source. But a result of reaching this area of vast energy and intelligence deep within the mind is greater ability to spontaneously concentrate outside of meditation on whatever it is we need to focus on. Getting back to Lonborg... he also emphasizes that TM was a big help in harmonizing his family life. Indeed, many of the benefits players get from TM manifest off the field as well as on it. But off the field problems can often have big effects on the field. Here's what another Phillies meditator had to say: "I know the Transcendental Meditation program helps me. It takes away tensions and anxieties. I don't let little things bother me anymore. Before I started TM every game I played carried over. I let things build up and before I knew it I was 0-for-28. I was buried. Now, if I go 0-for-4, I start all over again the next day, just like a new season for me. The same with my home life. I used to take things out on my wife, but TM helps me leave my baseball problems at the ballpark." KL: You've discussed mental, psychological and social benefits some players who are practitioners attribute to TM. What about actual physical improvements? KL: Who are some of the athletes who currently use the TM program? Current athletes who've learned the TM technique include NBA personalities such as Los Angeles Lakers general manager Mitch Kupchak, Shaquille O'Neill, and Steve Nash. In ice hockey, Rangers' goalie Dan Blackburn ("the freshest, calmest guy in the house") and Paul Kariya practice TM. KL: What about amateur athletes? FTB: I've taught TM to many high school athletes with great results, both on the field and in the classroom as well. Teachers find that students are more attentive in class with TM. Research shows that their grade point average rises. The point is that TM increases intelligence. That can only help in a game like baseball. The sports teams at my alma mater, Maharishi University of Management, and the Maharishi School of the Age of Enlightenment in Fairfield, Iowa all use TM. The golf team became state champions in 1996, just two years after they got started, and were featured in Sports Illustrated (Dec. 23, 1996). And for the first time in the 70-year history of Iowa high school tennis, Maharishi School won the celebrated Triple Crown by winning first-place in State Class 1-A titles in singles, doubles and team competitions two years in a row, 1999 and 2000. The Iowa Tennis Association (ITA) chose their coach, Lawrence Eyre, Coach of the Year for 2000. In a Tennis magazine article coach Eyre was quoted as saying that, "Seventy percent of a tennis match is between points and whoever recovers better and can return to a steady state is going to do better." TM helped his players recover quicker from unforced errors and then move on to the next point without getting upset or distracted. I'm sure you can appreciate how this quick recovery would be an enormous benefit to our Birds. KL: I mentioned in the lead that a number of big league clubs have “mental skills” coaches. Presumably some—perhaps all—of these individuals are using techniques other than TM. How does the Transcendental Meditation program compare with the other programs out there? It is worth mentioning here that the U.S. government has already spent more than $20 million for scientific research on the health benefits of the Transcendental Meditation technique. Studies done at Stanford and other universities show that TM produces a much greater reduction in trait anxiety (an indicator of stress) than all other techniques studied. This superior effect of the TM program is related to TM's naturalness. And this naturalness means that anyone can learn it easily, irrespective of their educational level or whether they believe it will work or not; people of all faiths practice TM. It is good to keep in mind that Maharishi's Transcendental Meditation program comes from an ancient tradition of knowledge. It is not in its experimental stage, like many relatively new programs. Maharishi brought this age-old wisdom from the Himalayas to the rest of the world about the same time the Orioles were getting started in 1954. The O’s have been one of the world's most successful sports franchises throughout these fifty years. The TM program has made meditation a household word during the same time. KL: I'm sure many people hear the term "meditation" and immediately disregard anything associated with it as New Age hocus-pocus or something similar. I'm sure you've heard that sort of thing before. How do you respond to such statements? FTB: When Jim Essian, who learned the practice of Transcendental Meditation when he played for the Phillies, says in a newspaper interview: "TM makes you blissful," it is fine for you to be skeptical. "Skepticism is the chastity of the intellect, and it is shameful to surrender it too soon, or to the first comer," wrote George Santayana. Yes, we should be cautious of what may be nothing but "hocus-pocus" out there. But we should use our intellects to separate the wheat from the chaff. Otherwise we may be narrow-minded and miss our chance to progress. Didn’t they think Marconi’s ideas were hocus-pocus? He had to actually take the skeptics out to sea on a ship to prove that his mysterious "radio waves" could really communicate back to shore without the use of wires. Any significant, serious-minded person must look at the facts. They must acquaint themselves with the 600 scientific studies (published in more than 100 scientific and scholarly journals, including such peer-reviewed journals as Science, American Journal of Physiology, Scientific American, International Journal of Neuroscience, Journal of Social Behavior and Personality, and many others) showing that Maharishi’s Transcendental Meditation program has profound effects on the body, mind and behavior. And they must look at the track record of the five million people who’ve learned the technique, the many hundreds of companies who’ve implemented it, and so on. My hope is that the Orioles and Orioles management will realize that many clubs have already seen the importance of the mental component in baseball and are doing something about it. If the Os look into TM properly, I’m fairly certain it will be clear that it is the most tested and most effective program available. And if they find something proven to be better, then they should go for that. But I very seriously doubt there is anything better out there. KL: About two years ago Sports Illustrated mentioned that the Chicago Cubs were into some type of yoga. What is TM's relationship with yoga? FTB: Yoga involves physical postures and TM is a mental technique. I practice yoga every day, and enjoy it very much; but its effects are superficial compared to TM. KL: How does one convince professional athletes to adopt something as "out-of-the-box" as TM? FTB: When the Phillies first implemented the Transcendental Meditation program in 1974 it was "out-of-the box." But by now meditation is quite mainstream. Most doctors will tell you meditation is good for health. It seems nearly everyone has at least some friends who meditate. Maharishi has appeared on the cover of Time magazine. And another Time cover showed actress Heather Graham practicing Transcendental Meditation. Clergy do TM. Elite athletes like Bill Walton and the late Arthur Ashe have endorsed TM. Top executives do it. Clint Eastwood has been on television extolling the virtues of TM. But even if we were to consider TM as "out-of-the box," it doesn't matter because it works. And athletes are quick to adopt what works to enhance their performance. Of course, sometimes they are too quick. Some were quick to pick up steroids and amphetamines in order to boost performance, but this was a pact with the devil, for sure. So many athletes have found that the Transcendental Meditation program greatly enhances their performance without harmful side effects, and with many side benefits. They just need to look into it. KL: Can you be more specific about the benefits you feel the Orioles could obtain from implementing the Transcendental Meditation program? 1. Players will be "In the Zone" more often and for longer periods. "In the zone" is sort of a catch-all phrase that encompasses many different experiences, but they are best characterized, I think, by the notion "extraordinary experiences." TM gives the direct experience of the zone—transcendental consciousness, which is an unbounded state of restful alertness of the mind. Through transcending thought during meditation the mind begins to enjoy more and more of that inner creative silence even when engaged in very dynamic activity. This is the experience of being "in the zone." 2. So far this season (today is 5/5) the Orioles have not been on a cross-country road trip. Those can be exhausting, what with time zone changes and all. Plus, as the season wears on, its many other demands also tire the players out. Meditating, they will be more rested—TM gives deep rest which neutralizes the stress-- physical, mental and psychological--of daily competition. It has been amazing for me to see that nearly every one of my more than 1,000 students, when I ask them on the fourth (final) day of the TM course, "How many feel more rested now?" virtually every hand goes up! As I mentioned, this would result in more stamina over the course of a season; no fading in the final two months. More relaxed, energetic players win ballgames. 3. Better teamwork and team harmony-- We've heard reports that there is a good feeling in the clubhouse so far this season. This is good to hear, especially when none of our starters are from the same country! “We are family” spontaneously becomes a reality when all team members, from diverse backgrounds, transcend thought. They experience their common source. 4. With TM we can expect better lifestyle choices—The many temptations major league ballplayers players face are dealt with more maturely as they enjoy the refinement of their personality through the Transcendental Meditation program. Self-confidence, self-reliance, stability and inner control, naturally develop. By the way, I think you'll agree that the Orioles are extremely fortunate to have the great Rafael Palmeiro, not only for his abilities on the field, but for the very mature example of his lifestyle. 5. Decreased drug and alcohol usage-- Naturally, the use of prescribed and non-prescribed drugs falls off when players are feeling great through TM. Performance enhancing drugs likewise lose their attractiveness since players are naturally performing better and are more sensitive to the detrimental effects of unnatural drugs, once they start TM. We've already seen at least two instances where alcohol has created problems for the Orioles this year. (Are there other instances we don't know about?) Scientific publications such as Alcoholism Treatment Quarterly point to the Transcendental Meditation program as perhaps the best modality for preventing and treating alcohol and drug abuse. TM makes a person feel good naturally, obviating the desire for drugs or alcohol. 6. Many studies show TM meditators have faster reactions. This means batters who meditate can react quicker to a pitched ball by, on average, between 20 and 30 milliseconds. (A batter gains this amount of time normally when facing a curveball instead of a fastball.) This faster reaction time also allows fielders to respond more quickly to a batted ball. 7. As I mentioned before, TM would offer our players a clearer mind-- the troubles from home aren’t carried onto the field and players can concentrate better on the task at hand. Intelligence, memory and learning ability improve with TM. Current training programs in place will be even more effective. Mental errors can be expected to occur less often. 8. The Transcendental Meditation program results in greater creativity—The difficult naturally becomes easier. In other words, you could expect to see more unbelievable plays like Miggy routinely turns in at short. 11. Recently, I heard Lee Mazzilli say that the players are "Staying within themselves." This is a common expression in baseball used to describe a state of naturalness where there is no strain. TM gives the direct experience of one’s own inner silent self, thereby fostering this ability that is so coveted in baseball. 12. The Orioles have had a high incidence of injuries in recent years. Expect fewer injuries among meditators. Fatigue is a main factor in injuries. 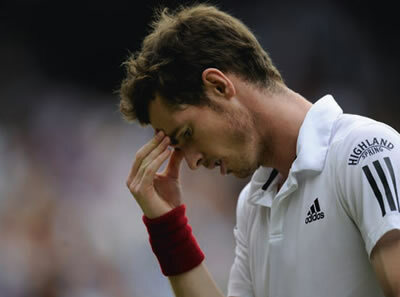 The Transcendental Meditation program gives players the most effective technique for removing fatigue on a daily basis. If an injury does occur, the profound rest TM gives to the body provides it the ideal conditions for rapid and full recovery. 14. Better family life is a natural result of TM. The former owner of the Phillies, Ruly Carpenter, told me that the Phillies also offered the Transcendental Meditation program to the wives of the players. This went a long way to further the family harmony without which a Pandora's box of problems may plague a player's performance. 15. Better health—Transcendental meditators have, on average, 50% fewer hospital and doctor visits. That's because they are generally healthier. An ounce of prevention is worth a pound of cure. We've seen how illness can debilitate the team, both physically and emotionally. Will we take up this proven program for stacking the odds in our favor? Just this week the American Journal of Cardiology published a study showing that practice of the TM program extended people’s life span by 23%, and reduced heart disease by even more. It would be both wise and compassionate for the Orioles to offer Ellie Hendricks the TM course to help him heal more quickly and thoroughly from his stroke. 16. Management from a level of an expanded awareness develops with the TM program. I think Peter Angelos was brilliant in hiring the dynamic duo of Beattie/Flanagan. And they, in turn, hired the right skipper to take us all the way. These guys have enormous responsibilities and need to ensure that they are always making right decisions, since the well-being of so many depend on the clarity, comprehensiveness and correctness of their thought. I've taught the TM program to a great many executives over the past 32 years, and am sure that TM would be a boon to Jim, Mike and Mazz. 17. Reversal of Aging--Palmeiro and Surhoff are both now 40 years old. I see them both potentially making very valuable contributions leading up to a playoff berth (and beyond) this year and next. If you knew that there was a way to turn back Raffy's and B.J. 's biological clock, you'd do it, right? Read the research. There is! Click on "scientific research" at www.TM.org. 18.Better luck...that's what TMers report. TM harmonizes an individual with his environment. In tune, things tend to go his way. It's like a surfer who catches the wave just right: his progress is unrestricted. KL: What do you plan to do to promote your idea with the team? FTB: Actually, this interview has what I think are the key ideas that management and/or the players need to know in order to decide to look into the TM program more seriously. Since my time is committed to TM research, and since I live about eight hours from Baltimore, there is little more I can do. I'm hoping that the word will spread from the Belfry to those concerned. Thanks for this opportunity to share my views with my fellow Orioles fans. Steve Barber was the guest speaker at our brotherhood meeting at Greenspring Valley Synagogue in Northwest Baltimore. The year was 1962 and I was 13 years old. 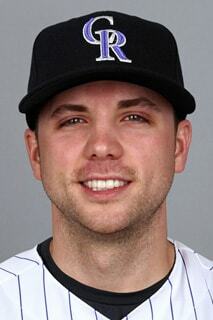 I remember how odd it was to see him don a yarmulka instead of an Orioles cap. It was a nice gesture of respect (he was clearly not Jewish) and immediately made me feel he was now much closer to us. During the Q and A session with his audience, Barber lived up to his reputation of being "brash" (Sport magazine did a big feature article back then on him, entitled : "Barber's Brash"). He said "If Milt Pappas continues the way he is going, he will soon end up with a sore arm." Ironic that Steve developed just that. I got to ask Steve a question in front of the group: "Why is it that the Orioles play so well against the mighty Yankees and end up losing to crummy teams like Kansas City? Do you try harder against the Yanks?" "Nah, the money's the same. ", was his answer. Well, Barber's brash.... After his talk and the Q and A session, Barber signed some autographs, including one on the full page head shot of him I had torn out of that Sport magazine article. Then, two friends of mine came up to me and explained that we were in a predicament: It was pouring outside and we would get really drenched walking the 20 minutes home. That dreary prospect gave me the gumption to describe our plight to #13. "Sure, I'll give you a ride." said our hero. To add to the thrill, Barber had a brand new Pontiac Grand Prix, which was my favorite car on the road. I had never before been in one. Steve was very friendly during that brief ride home. He created a nice impression. After he dropped us off and drove off down the road, one of my buddies said: "Oh, my gosh! I left my tefillin (Jewish prayer phylacteries) in the back seat of his car!" My other friend and I stood there in stunned silence. Then the first buddy winked and said: "Just kidding!" 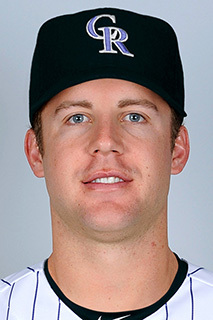 But the thought that Steve Barber, the first Oriole (and one of the first pitchers ever, I think, to be clocked throwing a baseball over 100 mph) was driving down the road with Michael Hummel's tefillin, really cracked us up! RIP Steve Barber. The Mick had been in a big slump and was not in the starting lineup that afternoon at Yankee stadium back in the '60s. Around the seventh or eighth inning I started hearing a strange noise; first it was a faint rumbling sound then it gradually grew louder and louder. When it started reaching a deafening roar, I finally realized what it was. The entire stadium was going berserk; their hero, their god, Mickey Mantle had come out of the dugout to the on deck circle. Never in my life have I ever seen a sports crowd give an ovation like that. And he hadn't done anything; he just appeared out of the dugout. The fact that he eventually fouled out didn't matter, either. The love was there. 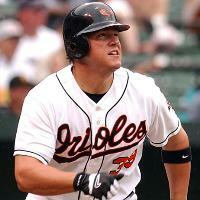 The hardest hit ball I ever saw was a Mantle home run against the Orioles in Baltimore's Memorial Stadium. Batting right handed, he pulverized the ball deep into the left center field stands. In spite of being an ardent Orioles fan, even I had to applaud the awesomeness of the feat.